New leglislation has been passed that amends the permitted development rights partly responsible for the loss of drinking establishments from the high street. 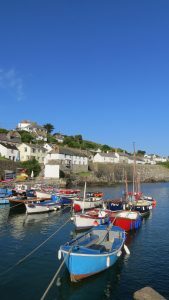 Pictured here on a beautiful summer’s day but, at 2.30pm on 18th July 2017, a flash flood caused devastation through the pretty Cornish coastal village of Coverack. The clean up operation is underway, at an estimated cost of over £1 million. Taking preventative steps now could potentially save home owners time, money and heartache. The Royal Institution of Chartered Surveyors discussion paper “a shake up is required in the residential sector” reacts to a Question Time debate in London. 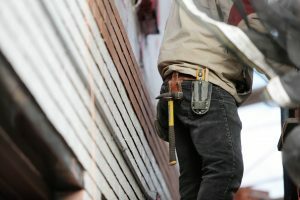 After months of waiting for promised remedial works to faults in new homes, owners are still waiting for the work to be completed. The unhappy group has now been promised extra funding – but there are signs of bitter frustration, with the organisers of the Bovis Homes Victims Group accused of ‘taking the money’. The Ready for Work scheme is hoping to attract business involvement in supporting training and workplace opportunities for the young and homeless. From Poundbury to Tregunnel Hill … and now Nansledan. Not on everyone’s radar, but the 4,000 home scheme is underway. House plants may be an attractive addition to the home and some have distinct health benefits, too. But beware! Some familiar names can cause health issues in humans and pets … here are a few to watch out for. How affordable is the UK housing market compared to Australia, Canada, Hong Kong, Ireland, New Zealand or the US? The Demographia study can tell you. Do I need planning permission to convert my loft to living space? It isn’t normally necessary to apply for planning permission to convert a loft space into living accommodation, unless the roof space is extended, altered, or exceeds specified conditions and limits. However, you must seek prior approval for Building Regulations. Buying an island has never been so affordable. Whether your budget is £325,000 or $7.95 million, there’s something available for everyone.